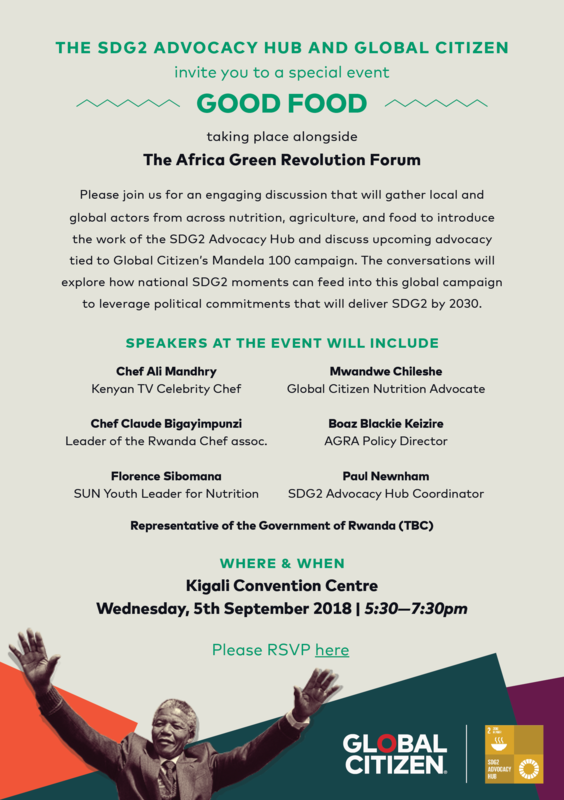 An engaging discussion that will gather local and global actors from across nutrition, agriculture, and food to introduce the work of the SDG2 Advocacy Hub and discuss upcoming advocacy tied to Global Citizen’s Mandela 100 campaign. The conversations will explore how national SDG2 moments can feed into this global campaign to leverage political commitments that will deliver SDG2 by 2030. Please note that the event will be held at the official AGRF venue, therefore guests must be registered for the AGRF to attend this event.